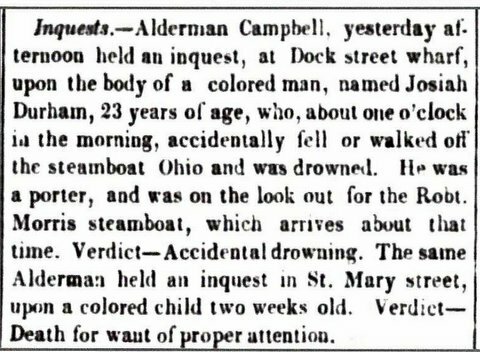 Public Ledger, August 13, 1841, p. 2. 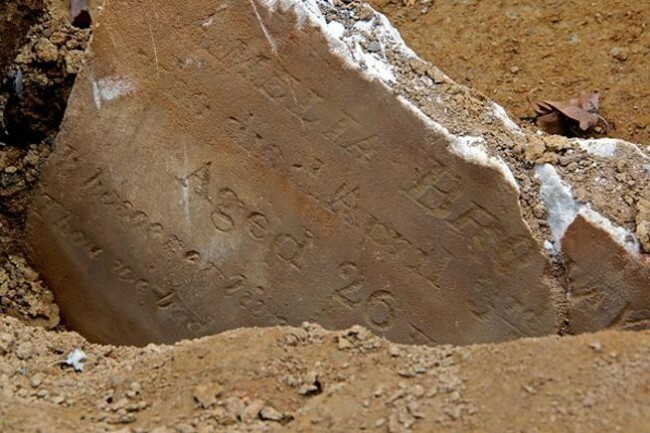 Twenty-three-year-old Josiah Durham drowned in the Delaware River on this date, August 12th, in 1841 and was buried at Bethel Burying Ground. While working on the steamboat “Ohio” Mr. Durham fell overboard in the dead of night and drown. The steamboat was an excursion vessel that was “one of the most beautiful boats on the river.” (Philadelphia Inquirer, May 3, 1833.) Mr. Durham lived in Prosperous Alley which ran south from Locust Street, above 11th Street.